The electrical system in most Monsuns has most likely been changed and improved extensively since the days they were built. Todays advanced engineering technology has made it possible to add a vast amount of gadgets to the common boaters baby. Here is a description of the original wiring system and the changes made to it for Monsun Isabell. 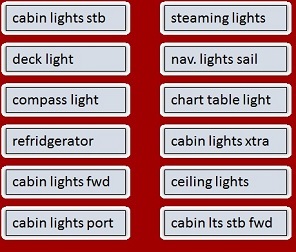 The basic wiring scheme for the Monsun encompasses two 12V lead-acid type batteries, one for the starter engine, and the other one for running lights, refridgerator and radioset (the house unit). The standard Monsun was not fitted with any other electrical instrumentation. In the picture with the old panel you can see what the buttons where for in the original panels. During the years many additions and changes have been made to the electrical system inside Isabell. Here is an overview of the present situation. 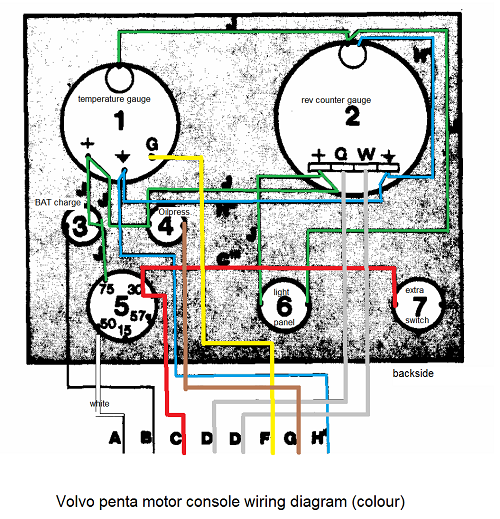 Here is the original Volvo-Penta motoring console for sailboats with the wiring diagram set in different colours. 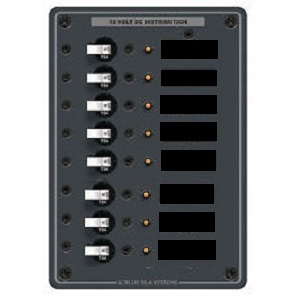 Due to the increasing usage of electrical instrumentation and devices on board, many Monsuns have added battery power to the house battery bank. 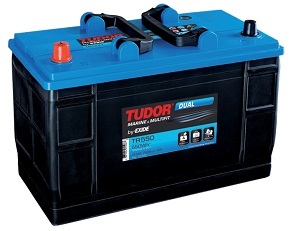 Isabell has 3 lead-acid 80 Ah batteries in the house bank (sum of 240 Ah), and one lead-acid (70 Ah) starter battery. The starter battery and one in-house battery are placed in the storage under the seat of the navigation space. 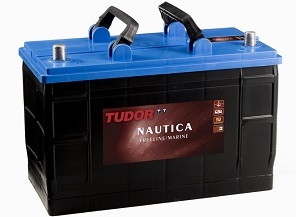 Two other in-house batteries are placed in the starboard side storage box. All three in house batteries are connected in parallel by 35mm² red (+) and black (-) copper cables. Isabell is fitted with a Schøller (Denmark) shore power unit with two 10 A fuses, galvanic isolator, and integrated surge protection at 30 mA. It is fed by one shore power inlet in the cockpit, and is connected to 230 V power outlets inside Isabell and to the AC power battery charger unit.